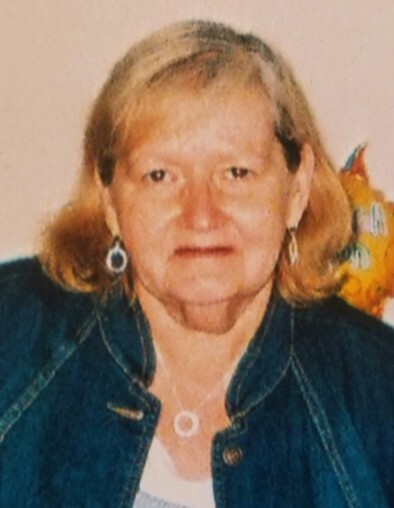 Judith “Judi” Ann Koenig, age 69 of Georgetown, Ohio died Thursday, April 4, 2019 at her residence. She was a homemaker. Judi was born September 19, 1949 in Loveland, Ohio the daughter of the late Charles and Grace (Wallace) Lewis. Besides her parents, she was preceded in death by one son – James Koenig in 1999 and one sister – Joyce Cahill. Ms. Koenig is survived by three sons – Michael J. Koenig, Jr. and Julie Newland of West Union, Ohio, Charles Jason Koenig and Krista Satterfield of West Union, Ohio and Daniel Koenig and Joshua McElfresh of Georgetown, Ohio; four grandchildren – Michael Shane Koenig of Peebles, Ohio, Johnathan Koenig of Wheelersburg, Ohio, Brookelynn Koenig and Matt Copas of Columbus, Ohio and Jordyn Koenig-Harp of Hillsboro, Ohio; four step-grandchildren - Brian Newland of Manchester, Ohio, William Newland of West Union, Ohio, Robert Newland of West Union, Ohio and Carley Hayslip of West Union, Ohio; one brother – James Lewis and wife Coleene of Hillsboro, Ohio; special friend – Sarah Spornhauer of Georgetown, Ohio; special niece – Kim Estep and husband Chuck of Goshen, Ohio and many other nieces and nephews. Funeral services will be held at 1:00 P.M. on Tuesday, April 9, 2019 at the Cahall Funeral Home in Mt.Orab, Ohio. Visitation will be from 11:00 A.M. – 1:00 P.M. Tuesday at the funeral home. Interment will be in the Moore’s Chapel Cemetery in Blue Creek, Ohio. If desired, memorial contributions may be made to the Judith A. Koenig Memorial Fund c/o First State Bank.